In the mid-1880s, the first black regiments of the US Army were nicknamed "buffalo soldiers" by Native Americans, a name that stuck. 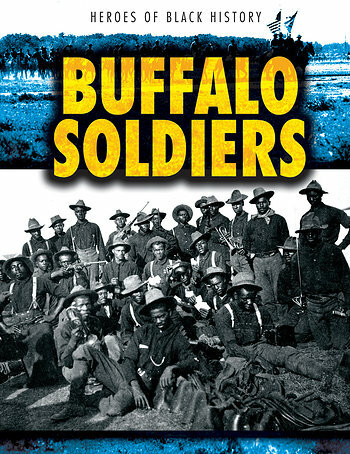 In the nearly 85 years of service that followed, buffalo soldiers served on the western frontier as well as in conflicts in Cuba, the Philippines, and Mexico. These courageous men became known for their discipline, among other admirable qualities. Sadly, they continued to face great prejudice in their own country despite stellar military records. Photographs of the soldiers, accounts of their exploits, and a timeline highlighting important moments of service further reveal the bravery of these troops.